"I did not get respect back from Chelsea fans but that is not my responsibility." Jose Mourinho's return to Stamford Bridge ended in ugly scenes as the Portuguese reacted angrily to the celebrations of one of Chelsea's coaching staff after Ross Barkley's last-gasp equaliser. Barkley fired home on 96 minutes to salvage a point for Maurizio Sarri's side in a pulsating 2-2 draw, prompting the Italian's second assistant, Marco Ianni, to celebrate animatedly in front of the United bench. 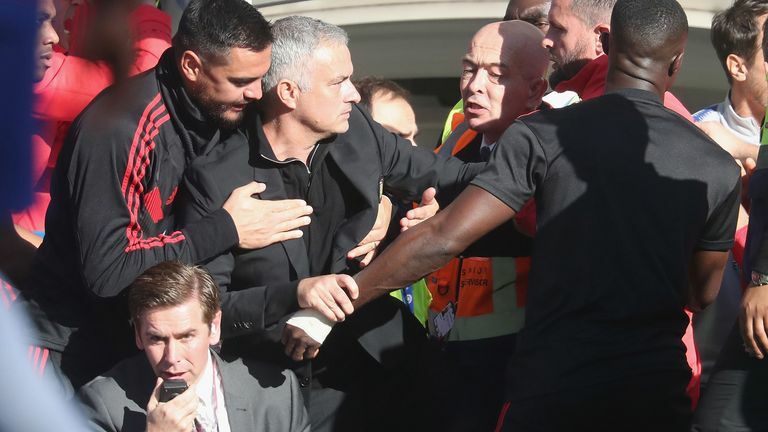 A furious Mourinho then had to be restrained by stewards before Sarri managed to reconcile the Manchester United manager. 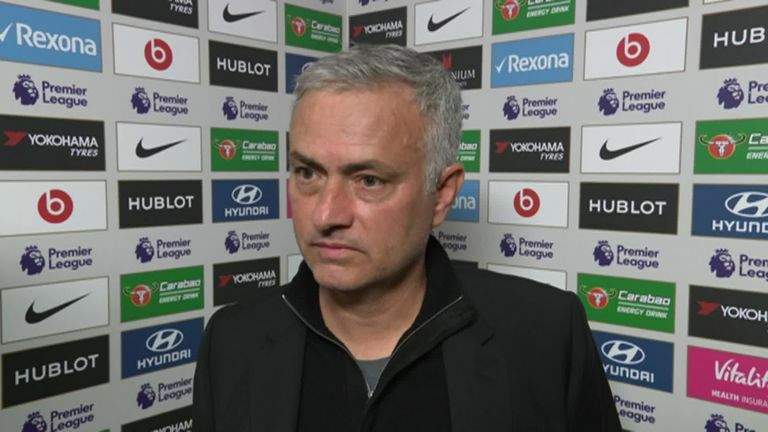 When asked about the incident, Mourinho told Sky Sports: "I can tell you that the 97 minutes game was so good that you have to focus on that. "I did not get respect back from Chelsea fans but that is not my responsibility. "What I did here today I will do in Madrid, in Milan, in Porto, the reaction from the fans is not up to me. "I am not annoyed with anything. What happened with Sarri's assistant, Sarri was the first one to come to me and say he will resolve it. "The assistant has already come to me and apologised, I told him to forget it. I have made a lot of mistakes in my career." Anthony Martial's two goals put United ahead after Antonio Rudiger's first-half header had given the hosts the lead. After the final whistle, Mourinho gestured towards the Chelsea fans with three fingers, presumably in reference to the three Premier League titles he won at Stamford Bridge. Sarri confirmed that he had apologised to Mourinho and spoken to his assistant, Ianni, about the incident. Chelsea 2-2 Man Utd LIVE! "Sincerely I have not seen what happened, but I have spoken with Jose, then I have spoken with a member of staff because I think we were on the wrong side so I have dealt wit hit immediately," Sarri said. "If I speak to a member of staff and am very hard with him, I cannot come here and tell everything because then I am not credible with the staff."